In order to know more about patients’ psychic trauma contents and reasons, I do deep intervews with my PTSD paitients and I want to know what they usually dream recently that can make them feel unconfortable and stressed. The Recent Problems: Parents gonna go to her collage graduation ceremony, and she feels nervous about how to handle the relationship between three people. She dreams everynight, and feel nervous and stressed. Analaysis: She is stuggling subconsciously, and may be aware of a thought or feeling that makes her uncomfortable, but reason prevents her from accepting it. It is also possible that her subconscious mind is telling her that there is something wrong or dangerous in her current plan, or that there may be a serious misunderstanding or disagreement. Prototype Content: Replace the key depressing element and let her to image another ending and plot of that nightmare. Then I use the Unity to mock up her imagination and help her enhance this new imagination experience. In this scene, I let the “spider man” to play the role of hero, and make the whole environment be bright and sunny, which can help her to avoid the similar depression feeling in her nightmare. What kind of traumas lead you to feel strssed and can’t let it go? Could you talk about that experience? Will these experience can provide the nightmares to you? What kind of nightmares? What’s the content? What kind of dream makes you feel happy? If you want to improve your sleep quality, what can makes you feel better? Could I get some information about some information of trauma experiences patients usually have, and what mental depression they usually suffer from? 3.Identify key experts, artists, and people that are relevant in industry or beyond and make a list of questions for them. I am really interested in get more related information and articles about this field, and trying to find how brain and humans’ nervous system process past experiences, chould you recommed me some related article or experiments? or provide some of your projects related? I heard there is a therapy called imagery rehearsal therapy (IRT), that teaches patients to change their remembered nightmares and to rehearse new scenarios. This approach has been successfully used in both children and adults, and in veterans, trauma victims, people living through major stressors or life crises, and patients suffering from serious mental illness, such as depression. Have you ever heard this therapy? and if yes, would you like to share some deep research about IRT. A). Tao’s project is about providing a private traveling plan for customers. I actually did similar projects previously. For his projects I recomended him to think more about the client database, and trying to a unique way to analyze their differnt characteristic and identify the distinctions between different types of client, then prepare differnt UI experience for them. B). With your partner, come up with a design for an experiment, visual artefact, or prototype that you are both interested in. We are inspired by another project about teaching autistic children how to communicate. Use the similar strategy on the target client. Represent our client’s good memories. Strategy : set the compairation groups. Intervention 1: Participants were randomized to receive treatment (n = 5) or to the wait-list control group (n = 5). The treatment group received IRT in 3 sessions; controls received no additional intervention, but continued any ongoing treatment. (4) continue these instructions every day, and consider working with a different nightmare every 3 to 7 days as needed. It is also vital to remind clients that they are to rehearse the new dream only, and not the nightmare. Nightmares are extremely dysphoric dreams involving threats to an individual’s emotional or physical sense of safety or threats to or loss of loved ones. They are common in children, adolescents, and adults. Approximately 5% to 8% of the general adult population reports having nightmares once per week or more often, and lifetime prevalence for nightmares is practically 100%. To be considered a “disorder,” nightmares need to cause significant daytime suffering and distress, while the term “chronic nightmares” is typically used when nightmares persist for at least six months with a frequency of one or more nightmares per week. Many factors can cause the nightmares. Early traumatic experiences, life stressors, such as moving to a new city, divorce, financial worries, starting a new job, and genetics can all play a role. In some people, nightmares can be related to their personalities, for example, people who are particularly sensitive or highly creative or artistic are among those who may be more prone to nightmares. Or nightmares can be triggered by medications, including some antidepressants, barbiturates, and beta blockers. In the past few decades, a new view has emerged in dream science. A wealth of clinical studies have shown that simple and highly effective treatments for nightmares exist. Current best practice guides for the treatment of nightmares consistently recommend imagery rehearsal therapy (IRT) as the treatment of choice. IRT is a cognitive imagery intervention that teaches patients to change their remembered nightmares and to rehearse new scenarios. This approach has been successfully used in both children and adults, and in veterans, trauma victims, people living through major stressors or life crises, and patients suffering from serious mental illness, such as depression. The key instructions for IRT typically include the following steps: (1) select a disturbing dream, preferably one of lesser intensity (with a less threatening nightmare, people usually find it easier to imagine and rehearse a changed version); (2) change this nightmare any way you wish; (3) rehearse this new dream a few minutes each day (twice can suffice) at a time of your choosing; and (4) continue these instructions every day, and consider working with a different nightmare every 3 to 7 days as needed. It is also vital to remind clients that they are to rehearse the new dream only, and not the nightmare. The treatment is relatively straightforward and highly effective, and adverse effects are rarely encountered. Addressing nightmares can be all the more important because their negative aspects can go well beyond the distressing experiences they present in and of themselves. Increased frequency of nightmares is correlated with severe sleep disturbances, including higher rates of insomnia; increased severity of psychological and psychiatric distress; suicidal ideation; and poor physical health. By directly targeting nightmares, people can experience significant improvements not only in nightmare frequency, but also in these other spheres. How to enhance the IRT result and let more and more people to pay attention on cure the nightmare is really important for this project. By creating a virtual dream world to rehearsal the healing dream content for insomnia and trauma victims (PTSD) patients can enhance the result of imagery rehearsal therapy to reduce their nightmare frequency and heal a shattered worldview. In this stage, I prototyped several ways help different patients to represent and record their nightmare experiences, and let them to list severl ways that can improve their sleep. Intervention: Participants were randomized to receive treatment (n = 5) or to the wait-list control group (n = 5). The treatment group received IRT in 3 sessions; controls received no additional intervention, but continued any ongoing treatment. Main Outcome Measures Scores on the Nightmare Frequency Questionnaire (NFQ), Pittsburgh Sleep Quality Index (PSQI), PTSD Symptom Scale (PSS), and Clinician-Administered PTSD Scale (CAPS) at 3- and 6-month follow-up. 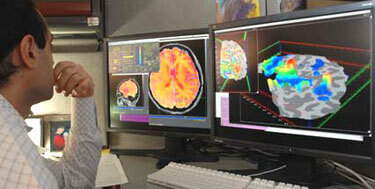 Which parts of the brain specialize in activities such as seeing or planning or feeling emotions? How to determine if treating chronic nightmares with imagery rehearsal therapy (IRT) reduces the frequency of disturbing dreams, improves sleep quality, and decreases PTSD symptom severity? How to enhance the result of imagery rehearsal therapy ? 2. REM sleep provides a virtual world model where the proto-self is embedded in an internally generated environment, which includes perceptions, sensations, and emotions. 4. The dream pictures metaphorically the overall state – especially the emotional state – of the dreamer. Maping process: The two systems ( dream content and reality) don’t have to have surface features in common, but they do have to have a relational pattern in common. 5. Not everyone dreams a lot or is interested in dream interpretation and related projects, but more and more people whatever the public or scholars are interesed in this topic. 6. The modern technology such as vitual reality and augmented reality can help to rebuild the dream world efficitently. 7. By tracking the brain’s blood flow, we can understand which parts are busy during sleep. 8. Dreams in REM sleep are the most “dream-like”: vivid, story-like, and immersive and remembered most often. 9. Current best practice guides for the treatment of nightmares consistently recommend imagery rehearsal therapy (IRT) as the treatment of choice. IRT is a cognitive imagery intervention that teaches patients to change their remembered nightmares and to rehearse new scenarios. 10. Addressing nightmares can be all the more important because their negative aspects can go well beyond the distressing experiences they present in and of themselves. Increased frequency of nightmares is correlated with severe sleep disturbances, including higher rates of insomnia; increased severity of psychological and psychiatric distress; suicidal ideation; and poor physical health. the impact of which is ____to rehearse the new dream only, and not the nightmare, people can experience significant improvements not only in nightmare frequency, but also in these other spheres_____. Approximately 5% to 8% of the general adult population reports having nightmares once per week or more often, and lifetime prevalence for nightmares is practically 100%. Nightmares are especially typical in children aged 3-6 years. Up to 50 percent of young children have severe nightmares that cause them to wake up their parents. An estimated 50% -85% of adults report having the occasional nightmare. Nightmares tend to become less frequent and intense as your age. To be considered a “disorder,” nightmares need to cause significant daytime suffering and distress, while the term “chronic nightmares” is typically used when nightmares persist for at least 6 months with a frequency of 1 or more nightmares per week. lucid dreams: In a lucid dream, the sleeper is aware that he or she is dreaming. in student samples, the percentage goes up to 80%. Dreamers with more than one lucid dream per week are rare: about 5%. Lucid dreaming is a learnable skill: One of the simplest methods to increase the number of lucid dreams is called “reality checks.” The reality checks are carried out 5 to 10 times during the day by asking oneself whether one is dreaming at that moment, and examining the environment for possible incongruities. The frequency of nightmares in quieter times has a high correlation to overall dream recall. he 2001 multiauthor book Trauma and Dreams reported one study of children on intensive care burn units and another of kidnapping survivors, finding that 100% of both groups had horrible dreams repeating the event. patients suffering from serious mental illness, such as depression. Addressing nightmares can be all the more important because their negative aspects can go well beyond the distressing experiences they present in and of themselves. Increased frequency of nightmares is correlated with severe sleep disturbances, including higher rates of insomnia; increased severity of psychological and psychiatric distress; suicidal ideation; and poor physical health. Current best practice guides for the treatment of nightmares consistently recommend imagery rehearsal therapy (IRT) as the treatment of choice. IRT is a cognitive imagery intervention that teaches patients to change their remembered nightmares and to rehearse new scenarios. This approach has been successfully used in both children and adults, and in veterans, trauma victims, people living through major stressors or life crises, and patients suffering from serious mental illness, such as depression. Issue + Vision + Method. Issue: Many people have nightmares that cause sleep problems, and increased frequency of nightmares is correlated with severe sleep disturbances, including higher rates of insomnia; increased severity of psychological and psychiatric distress; suicidal ideation; and poor physical health. Vision: Reducing patients’ nightmare frequency and heal a shattered worldview. Method: By using the augmented reality and virtual reality to rehearse the new dream and build up the learnable skill for patients control and heal their worldview in the dream. How might we _____create a virtual dream world to rehearsal the healing dream content ____________ for _ insomnia and trauma victims______ in order to ___reduce nightmare frequency and heal a shattered worldview_________. 1. The Threat Simulation Theory: Dream consciousness specializes in the simulation of various threatening events that our evolutionary ancestors were exposed to. 2. The Social Simulation Theory: It serve to rehearse pro-social behaviors that, in waking life, strengthen important social connections – helping the dreamer survive as well as satisfy the social need to belong to groups. 3. A simulation theory: Play behaviors provide a safe environment where young animals can practice the instinctually driven behaviors typical for their species (such as fighting, procreating, and bonding socially), which they will need in adulthood to survive. Dreams do the same thing, in the safe environment of sleep. Vision – Reducing patients’ nightmare frequency and healing a shattered worldview can help people who suffer from the nightmare and sleep disorder. Mission – Help users to build up the lucid dreaming skills, and creat rehearsal a new dream for them instead of their nightmare. Objective – Looking for stress and trauma roots based on the nightmares recorded, and build up a healing dream based on that patient’s condition. Strategies – Using the virtual Reality and Augmented reality to help build the dream world for rehearsal new dreams. Contact neurologist, psychologist, and Brain scientists to get more healing methods and cases related. Contact Insomnia and trauma victims Group to get more information about users. Pick up 7 samples of trauma victims or stressed people with the similar experience, and tring to find a common element in their dream. Rebuild the element of their dream. Contact with AR and VR professor about getting good technology support for rebuild the virtual dream world. Building the virtual dream world for them, and get some feedback. 1.What is the Special Nature of Nightmares After Trauma? When people are recovering successfully from a traumatic experience, the most typical evolution of dreams is that they begin with frequent recreations of the trauma, but then fewer of these dreams occur or they are milder versions: someone who has barely escaped a burning house may have dreams that scale down to trash bin fires breaking out. It is also common for dreams to move toward better outcomes – being rescued, fires being put out, mastery over attackers – as the person recovers. 2. What theories suggest the dreaming process is? A component and form of memory processing, aiding in the consolidation of learning and short-term memory to long-term memory storage. An extension of waking consciousness, reflecting the experiences of waking life. A means by which the mind works through difficult, complicated, unsettling thoughts, emotions, and experiences, to achieve psychological and emotional balance. The brain responding to biochemical changes and electrical impulses that occur during sleep. A form of consciousness that unites past, present and future in processing information from the first two, and preparing for the third. A protective act by the brain to prepare itself to face threats, dangers and challenges. 3. How can my experiments help my research? The experiment of building the virtual dream environment can provide a relative real dreaming content and story line for users to understand their dream. The experiment 2 is about the dreaming diary, which can help me to record the dream in a regular frequency and find the relationship between my dream and these theoires. The experiment 3 is about searching the similar link between different interpretation and what we dream, which can help me to link the psychology field with the dream process. 4/1: Experiments and Prototypes decision: Schedule the plan and keep on researching, find specific articles related to interested theoires. 4/8: Starting to use the methods and do early prototype of my project, and improving my experiments. 4/15: Playtesting of early prototypes, and get some feedbacks. 4/29: Do one vs one talking with professors, and start to write, and prepare for the presentation. Keep working on the previous three experiments to prepare the enough information for the project. Build up a storyline of the dream or the dreaming process, and then use the AR technology to rehersal the process. Record a video and do AE of it to provide the whole concept of the project. Create a website page to explain the project and mock up the virtual dreaming process. How do People’s Memories and Ideologies related to their Night Dreams? 1. What new media and technology can help people to represent and perform their dreams in a unique virtual way? – experiment a: using the motion capture, Maya and AR to represent and perform a virtual role in a dream. 2. How do human dreams relate to phenomenology and neurophysiology? Under what conditions do you dream most? Do you think your dreams represent some of your memory or what will happen in the future? Do you interested in understand other one’s dreams? Did you talk with your family or friends about your dream? And what is the most impressive dream? Do you want to use your dream world to express another side of yourself and release your pressure. Do you want to share your dream contents with others? And allowed others to get into your dream and leave some messages? Do you want to record your dream? And may be look back it? This Ted Talk represent the relationships between our brain dreams and psychology. Many of us will experience some kind of trauma during our lifetime. Sometimes, we escape with no long-term effects. But for millions of people, those experiences linger, causing symptoms like flashbacks, nightmares, and negative thoughts that interfere with everyday life. Joelle Rabinow Maletis details the science behind post-traumatic stress disorder or PTSD. 2. talk with Proessor Mark Skwarek in IDM program about the AR and Motion Capture, and trying to figure out how can new technology and new media help to realize a better virtual dream world. This project is about Dream Content and Political Ideology. This study focuses on the relationship of dream content and political ideology in a contemporary U.S. context. The study involved 56 people, 28 (14 male and 14 female) who identified themselves as members of the political right and 28 (14 male and 14 female) who identified themselves as members of the political left. a. What new media and technology can help people to represent and perform their dreams in a unique virtual way? b. How do human dreams relate to phenomenology and neurophysiology? c.What kind of experiences and feedback do people want in their dreams? Area: Performance – Topic: How to use performance to express storyline in a new way? Area: Dreams – Topic: What do people actually know about their dreams and how do thy link dreams to the real life? Area: Communication – Topic: How to breakthrough the barrier of limitation of languages to express and exchange ideas in order to improve social communication? – What’s the purpose to express the dream and create a dream world and dream communication? – What makes people get interested in understanding their dream experience? – What element may affect human’s dream experience? – What’s the core part for a successful immersive performance experience? – Who you want to communicate with? – How can people organise the dream fragments and express the dream experience? -How do dream experience, real life memory, and psychology influence with each other? – How to realise the communication in other one’s dream world or our won dream world? -How technology or media can help to create the the dream world and express the dream experience? – What if everyone create a virtual dream world, and others can come into their dream and leave messages? – What if the dream can be controlled? -What if the dream world become another space or society you gonna live when you are sleeping?